satirical superhero Too Much Coffee Man, and as a cartoonist for The New Yorker. Shannon grew up in Berkeley, California and started cartooning at UC Berkeley, publishing daily gag cartoons "Calaboose" and then "Tooth and Justice" in The Daily Californian. 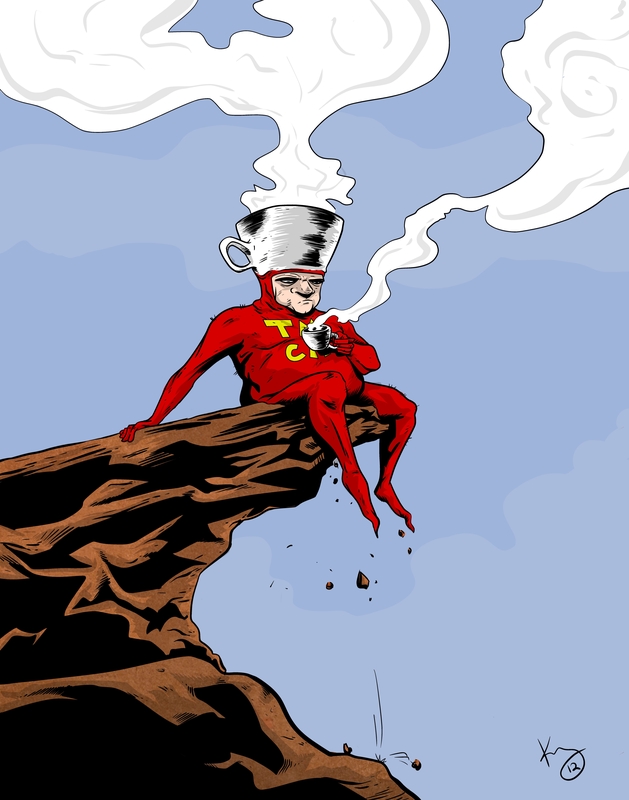 He moved to Austin, Texas and created the Too Much Coffee Man as the star of a weekly comic strip in 1990. He eventually published the character in a series of self-published zines, comic books, magazines, and webcomics for a number of years, culminating in 2006 with the Portland, Oregon production: Too Much Coffee Man Opera (in one act), followed by Too Much Coffee Man Opera, The Refill (in two acts) in 2008.
in their radical, underground, counter-cultural progressive newspaper. "Just got home from the follow up on the Paranormal investigation research today. Hopefully the first installment on this comic will be available here late next month or early August. The other night I did a drawing of Shannon Wheeler's Too Much Coffee Man. I thought I would share it here. He is a swell guy that does swell comics." Visit these Publishers to see more of Shannon's Work!